Hi guys, Nice to meet you all and happy to know that there's alot of us here. I'm from manila but currently working in the Bahamas. Anyway, Good luck on your collections and in this very addicting hobby. Here are some of my collections of reps and gens: Sorry for some pic quality. nice collection, i love your subs. sori i'm new at pam models, what model is the one on the upper left corner? guys, bought a new glass for my pam88 but i can't find any watchsmith who can even open the caseback. know any good watchsmith in manila who can help me? thanks! Thanks DaniM4. Nice PAMS too VGHM! sanjose888 You might want to try Makati Cinema Square upper level beside the old cinema there's a small shop that sells military stuffs together with the watch repair shop, i know a watchsmith there. look for andrew, He specializes in rolex, omega's and etc... Hope he can help you. Hey i have a friend from Kasibulan. I used to live in Countryside. Your rep supplier friend - can he hook us up with some good quality reps? Like Breitlings and Rolexes? amazing collection!!! What are you doing in the Bahamas? What is the gen in your collection? Half a flip checking in. born and raise in the states, but family is from cebu. i plan on going back to live the beach bum life some day. Thanks mojako! I'm working as a chef here. 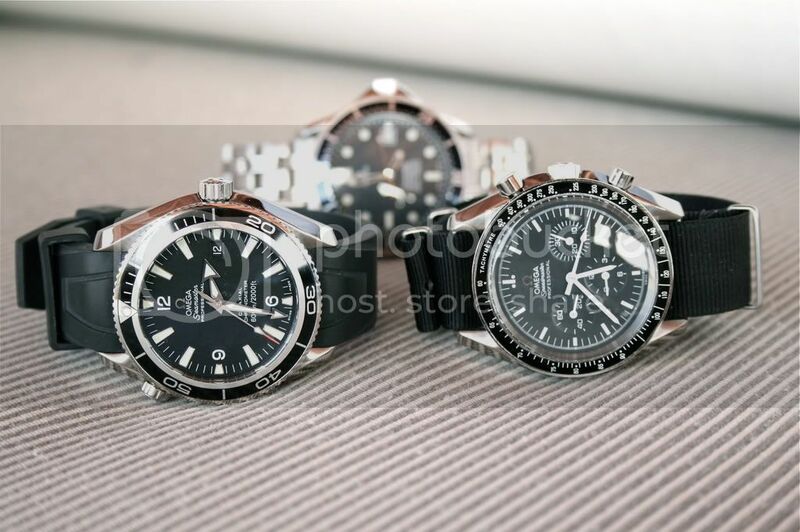 The only gen i have left is the Omega SMP PO 42mm and the Rolex Oysterdate Precision. 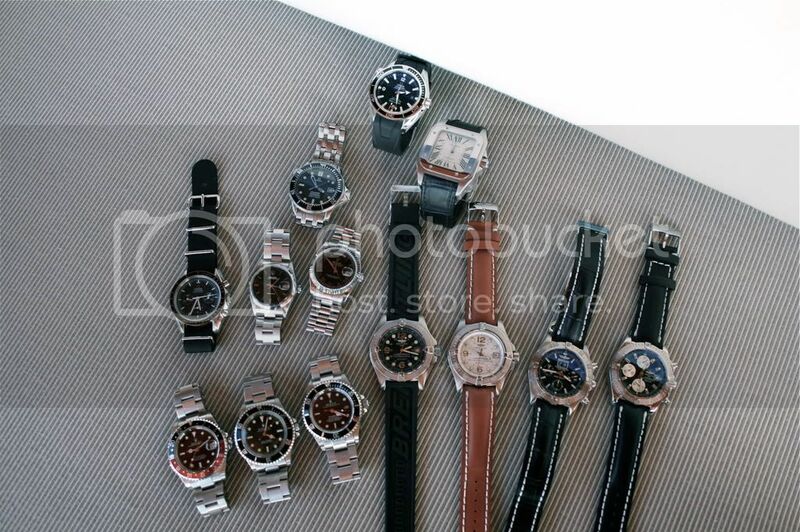 I plan to sell some of my watches ( Rolex GMT II coke dial-swiss mo'vt, Breitling chrono Evolution silver dial ) and anything else i think of to fund a gen Sub. So if some of you guys are interested just let me know. i'm taking my vacation this august. Thanks. may i know the name of your friend? yup, he can. not sure about breitling. Rolexes and Pams, no problem. i think he still has a stock of the DSSD and GMT Master IIc. btw, when is your WM9 going to arrive and how much in pesos? Last edited by DaniM4; 03-10-2009 at 02:47 PM. My friend from Kasibulan is Eric Bautista. Not sure if you know him though. 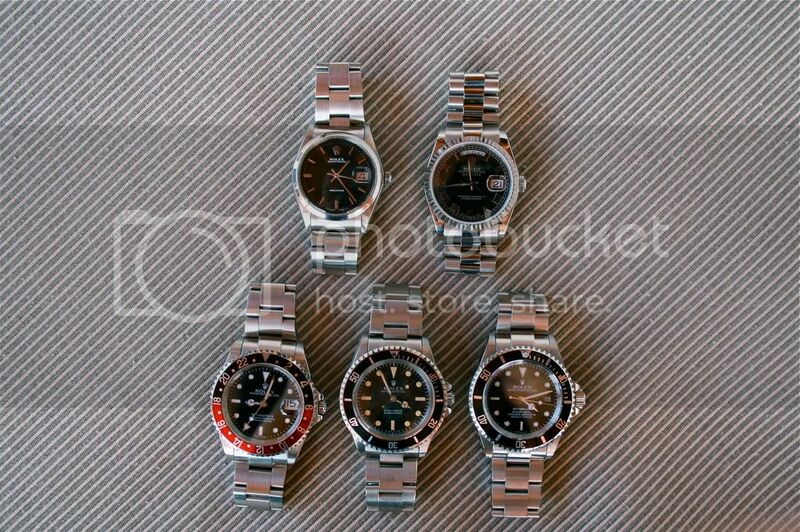 How much is your friends GMT IIc? Got my WM9 from a repgeek forumer, for $515 shipped (from canada to NY). Pretty expensive! The watch will be delivered to Johnny air, then i'll pick it up in their Megamall office. what i don't understand though is why is taking too long to ship! It's been 6 days already. yup i know him, i'm much older though. his family is one of the pioneers in kasibulan. i think nini, her older sister, and i have the same age bracket. pls post pix as soon as you get your WM9. i see. I wasn't aware na may Ate pala si Eric, hehehe. aaah, a21j movement pala. Does he have the ETA version? Kasi I also bought the 21j version from GH and wasn't happy with it, so i sold it. Yes ang mahal ng wm9 v2! Presyong F1 na nga! haha. Oh well... maganda naman yung copy eh, so pwede na rin. Hope it arrives soon! Bitin na bitin na ko eh! i passed by leo's shop, that's his name, this afternoon, he said he doesn't have a stock of DSSD. what he has right now is the Daytona secs-at-six. he's selling it for P7,000.00. how much did you get the GMT? i'm not sure if he has an eta GMT, i'll ask him tom. Hello to all the noypi's! Anyone want to be the one to admit they were the dumba$$ who posted a rep geek link on EBAY PH? buddy what were you thinking???? imagine that EBAY nuked the item!?! Last edited by mgoony; 03-11-2009 at 09:08 PM. i know that place, i went there yesterday looking for a case opener for DSSD. they don't have one. the link on ebay says it has been deleted. damay na naman tayong lahat ng pinoy sa kalokohan na yan e! hope we get to find out who posted that (post that mgoony is talkin about) sana d na maulit. i got the a21j GMTIIc for less than 5k in GH. But it conked out after a week and i had to return it for repair. They repaired it then i sold it afterwards. Still waiting for my wm9 v2. Here's whats happening now! It's stuck somewhere!!! Has anybody experienced this thru UPS? Last edited by mojako; 03-12-2009 at 09:51 AM. ok. if ever my friend has an eta version i'll pm you asap. btw, how much are you selling the ssd and carrera? Last edited by DaniM4; 03-12-2009 at 10:32 AM. so i think UPS lost the package!!!! It hasn't arrived yet and hasn't updated yet!! Did i just lose $515??? try to call the sender, i've read from a thread here, the sender always replaces the lost package. tetzumaru- Although i haven't tried servicing reps from him but i think its ok. What's the name of the buliding in avenida that sells and service watches also? Are the vintage watches expensive there? do they have rolex? I'm thinking of going there when i go home. thanks. mojako- just wait a little more and contact your seller. hope you still get it. I lost 2 watches from fed ex 3 weeks ago and now i have an incoming watch from UPS that says "package exeption" i'm guessing there's another problem again. I think they are getting strict nowadays. Anybody of you guys tried ordering from josh or andrew? If yes, did you got the package safely? what courier did they use to ship it to the phils? Count me in. Im Filipino. Im in San Francisco, CA. Ironically im heading out for a wedding in San Francisco (Manila/Quezon City??... not sure) in 2 weeks. Ive visited Greenhills in my past vacations but i never really had any luck with reps the last time i was there in Dec. 2006, maybe the selection is better this time? You guys have any suggestions? Also if you guys need help with watches from the USA dealers like WBK im pretty sure i can slip them into my balikbayan box . I arrive on March 31st.